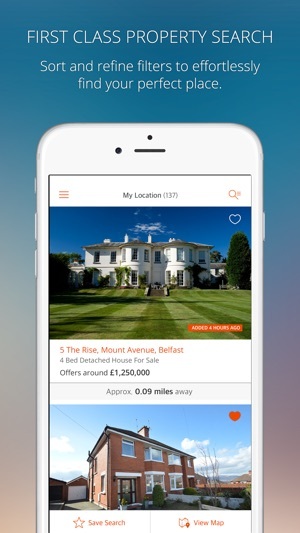 Find the home of your dreams with the new PropertyPal iPhone app! 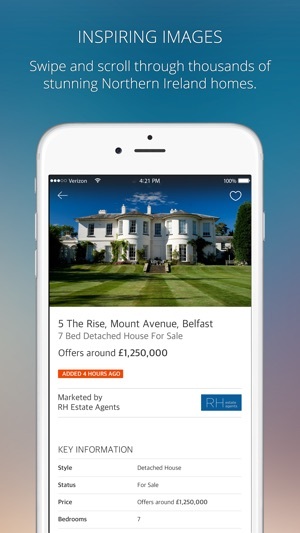 It’s the only app you need to search the latest properties for sale or rent in Northern Ireland and Ireland. Find your perfect home in an instant. Our quick and easy search allows you to find beautiful properties available for sale or rent when you’re on the move. And with our provided filters, search for the perfect property to meet your individual needs. Add properties to your favourites to remind yourself how in love you are with particular listings. 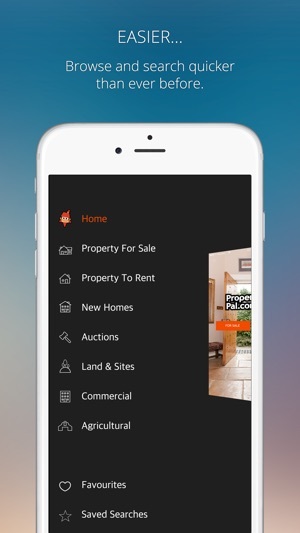 If you have signed up for a PropertyPal.com user account, all info on the app is perfectly synchronised between the iPhone application and the website, so you’ll never miss another potential home - wherever you are. If precise location matters to you, you can choose to search directly from your current location or use our ‘Draw a Search’ feature, for pinpoint accuracy and control. You can even keep up to date with property information in drawn search areas, so you are always one step ahead when a property comes to market in an area you wish to live. Saved searches provide regular email alerts on market activity, so you don’t even have to move a muscle. 1) Search for properties and filter by price, style, and bedrooms. You can also sort by popularity, date added, price and much more. Find the dream home that’s right for YOU. 2) Draw a Search to define your own custom area and optionally receive alerts when properties match those criteria. 3) Saved searches. Save any search you make inside the application and receive email notifications when a property is updated. 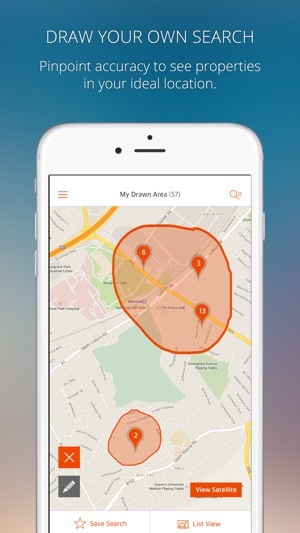 4) Synchronises directly with the PropertyPal.com website to keep your data accurate no matter where you are. 5) Connect directly with estate agents, to send enquiries about homes wherever you are, 24 hours a day. 6) Slideshow –swipe between beautiful representations of properties in a visual way, landscape OR portrait with our property slideshow. 7) Street view and Maps gives you location information from the comfort of your armchair. 8) Switch quickly between views at any moment throughout the application, as list and map views are brother and sister now, not distant cousins. 9) More stable than race day at Aintree. We’ve focused on performance and stability so your user experience is silky smooth. ● Our search has been overhauled to support natural language phrases. For example, you can type in ‘2 bedroom bungalows in Belfast for under 100k’ - rather than using filters to refine the property type, price and number of bedrooms. ● We've resolved an issue so that you can now login easily with Facebook. 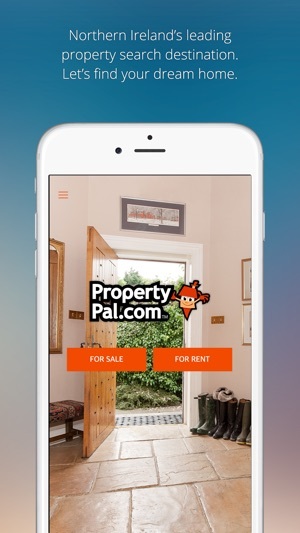 Literally love the PropertyPal app. It’s so handy and simple to use. The draw search feature is very useful when trying to find properties available in certain areas as well! I could easily spend hours scrolling through this app- it’s so addictive!